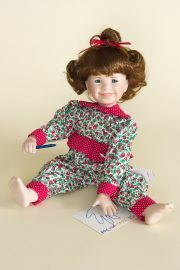 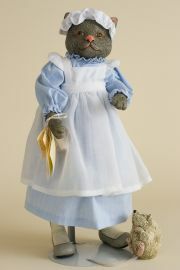 These dolls represent infants or toddlers and are not made for play. 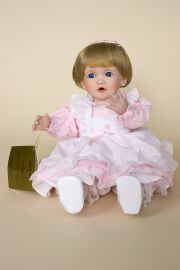 Typically, they are considered to be appropriate for young and adult collectors of fourteen years and up (14+). 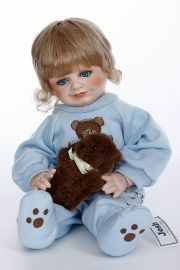 Designed by well known doll artists, mostly for manufacturers but sometimes for the artist's studio, they generally feature very realistic faces and skin which feels like a baby's. 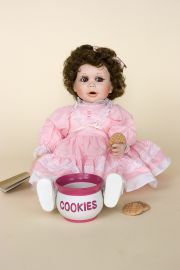 Details like hands, fingernails and feet are rendered realistically and the dolls is usually weighted to feel like a real baby when held in the arms. 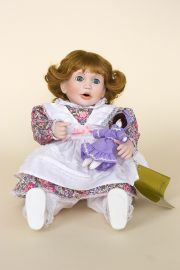 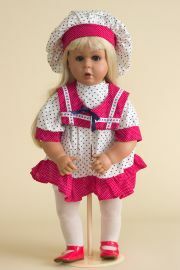 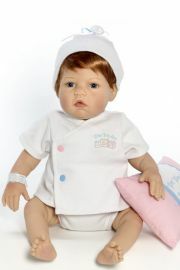 Collectible Baby/Nursery dolls are usually manufactured in open editions or medium to large editions and therefore tend to be popularly priced. 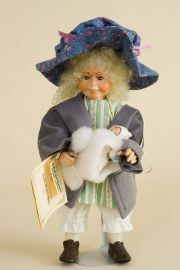 Dolls individually created by an artist's studio may be priced somewhat higher.